GSU is a four-year, state-supported, coed, liberal arts university founded in 1901 as a relief schoo…. GSU is a four-year, state-supported, coed, liberal arts university founded in 1901 as a relief school for black farmers. After a request for assistance from the Farmers’ Relief Association of Ruston, Louisiana, Dr. Booker T. WashingtoGSU is a four-year, state-supported, coed, liberal arts university founded in 1901 as a relief school for black farmers. After a request for assistance from the Farmers’ Relief Association of Ruston, Louisiana, Dr. Booker T. Washington felt prompted to send Charles P. Adams from Tuskeegee Institute to Louisiana. Once there, Adams and two faculty members established the Colored Industrial and Agricultural School. The original purpose of the school was to provide all students, who were willing to work, with a knowledge of how to farm, build houses, and maintain sanitary and wholesome living conditions. In 1905, Fredelia Jewett donated a large amount of money to the school, which became known as the North Louisiana Agricultural and Industrial Institute. At that time, the school moved 2 miles west to a 200-acre tract where it now rests. In 1918, under the direction of the Lincoln Parish School Board, the school was renamed Lincoln Parish Training School. When the school became a junior college in 1928, the name changed to Lincoln Normal and Industrial Institute. In 1940, a four-year program was initiated, with the first Bachelor of Science in Elementary Education degrees being awarded in 1944. The name changed to Grambling College in 1947. A year later, a program in secondary education began, graduating its first teachers in 1953. In 1954, programs in preliminary training for law, medicine, and dentistry were established. By the 1958-59 school year, a full liberal arts curriculum was developed. When Grambling was granted university status in 1974, it adopted its present name. Grambling remains dedicated to providing a high-quality education for students from across the country and abroad. The school has a track record of producing leaders in all the professions, including sports. Many of the school’s athletes go on to play professional sports, such as Doug Williams, former quarterback for the Washington Redskins. Grambling State’s football team and marching band are world-renowned. The campus consists of seventy-five buildings occupying 360 acres. The basic architectural style is colonial, with a blend of red brick and white frame structures. 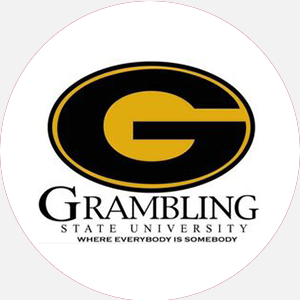 Grambling State University is accredited by the Southern Association of Colleges and Schools (SACS) to award the Associate of Arts, Associate of Science, Bachelor of Arts, Bachelor of Science, and master’s degrees. Percentage of students receiving financial aid: 98 Financial Aid Specific to the School Army and Air Force ROTC offers two- and four-year scholarships that pay tuition, fees, books, and other expenses and provide a monthly stipend. Rolling admission; June 1 (fall priority); March 3 (spring priority). ACT or SAT Graduation from an accredited high school (or equivalent) with the following units: 3 English, 2 mathematics, 2 science, 2.5 social studies, and 7 electives; 1 additional English is recommended. Students should submit official high school transcript and provide proof of immunizations against measles, rubella, and mumps. Out-of-state freshmen with 2.0 or better GPA are given priority. A application fee is required. A fee is required for international students. Admission Application Deadline: Rolling admission; June 1 (fall priority); March 3 (spring priority). Admission Contact: Director of Admissions and Recruitment, Grambling State University, Grambling, Louisiana 71245; Telephone: 313-274-6183; 88-863-3655 (toll-free); 313-274-3292 (fax). A minimum of 125 to 128 credit hours; minimum 2.0 GPA; must attend all Lyceum and college-sponsored events during freshman and sophomore years; and must pass comprehensive exit exam. Campus Regulations: Curfews during first week and exam week; quiet hours; and dorm visiting hours 7-11 P.M. Campus Services: Health, career counseling and placement, student employment, learning resource center, tutoring, and religious activities. Campus Activities: Social and cultural activities include theater, chorale, band, orchestra, and dance. Student travel tours have been made to more than 26 countries and every state in the United States. Students may get involved in the Gramblinite (student-run newspaper) or the Tiger (yearbook). Communication majors may work at KGRM, the student-run radio station. Grambling strives to provide social and cultural activities that engender a sense of responsibility to the community, state, and nation. Leadership opportunities are found in the Student Government Association or the numerous other departmental clubs and interest groups on campus. Greek Life Sororities include: Alpha Kappa Alpha, Delta Sigma Theta, Sigma Gamma Rho, and Zeta Phi Beta. Fraternities include: Alpha Phi Alpha, Kappa Alpha Psi, Omega Psi Phi, and Phi Beta Sigma. Honor societies are represented on campus. Housing Availability: 3,500 housing spaces. Handicapped Services: Wheelchair accessibility.